A diversified palette of products ! 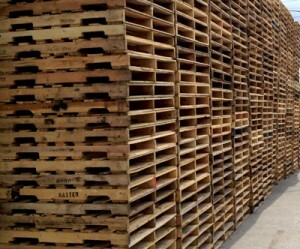 More than 50 types of pallets available to meet all your needs and all budgets! ALP is your guarantee for quality pallets and outstanding customer service, whether you order big or small. ALP offers standard as well as custom pallets. Standard pallets come in several categories – giving you the choice between brand-new and recycled pallets. Brand-new, white four-way pallets. Load: 2500 lbs. The perfect choice for the food industry, health sector, etc. Excellent price-quality ratio. Recycled four-way pallets. Load: 2500 lbs. 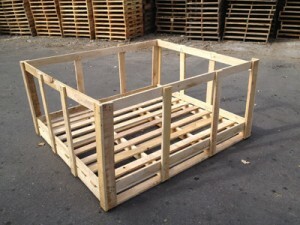 These recycled pallets have been repaired according to rigorous and stringent requirements. Ideal for general use. Competitive pricing. Recycled two-way pallets. Load: 1000 lbs. Favoured by the textile and clothing industries. Highly affordable and a green choice. ALP offers this variety of quality levels to cater to all demands and budgets of its clientele in an economical and ecological approach which promotes recycling and the sound management of our resources. You are looking for a particular pallet size but it is not readily available on the market? Worry no more, you can order custom-sized pallets with ALP to suit your specific needs. ALP makes custom-sized pallets for its customers, whether you order in small and in large quantities.